Although we recently had the Metal Gear Solid HD Collection, it seems the success and screams for more from fans have been heard. Konami are releasing a brand new compendium called the Legacy Collection which will include more than what the previous HD collection had to offer. 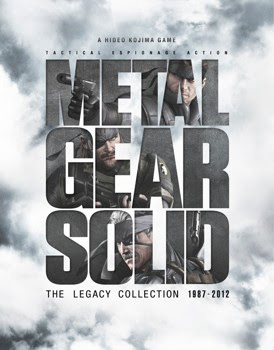 When the game hits shelves we will be expecting an almost complete collection of the Metal Gear Solid series, as far as main storyline games go. The original Metal Gear Solid, which includes the VR Missions expansion, Metal Gear Solid 2, Metal Gear Solid 3, Metal Gear Solid 4: Trophy Edition and the recent Metal Gear Solid: Peace Walker. There is no release date or price yet for the UK, but the US can expect this must-have for fans and newcomers alike in June.